The Best Western Plus Pioneer Square Hotel offers seventy-five hotel guest rooms and suites that are available in your choice of standard or deluxe city view rooms, with a choice of two bed types: a king bed or two double beds for your pleasure. Our facilities offer the perfect setting for any visitor, couple, family or group visiting the Seattle downtown historical district. Our spacious 400 sq. ft. Pioneer Square View Suites feature one king bed plus a queen sofabed. During the day, the sofa creates a comfortable sitting / living area. This room can accommodate up to 3 people and features a Keurig Coffee maker, iHome in room, and Sister Sky Amenitites. 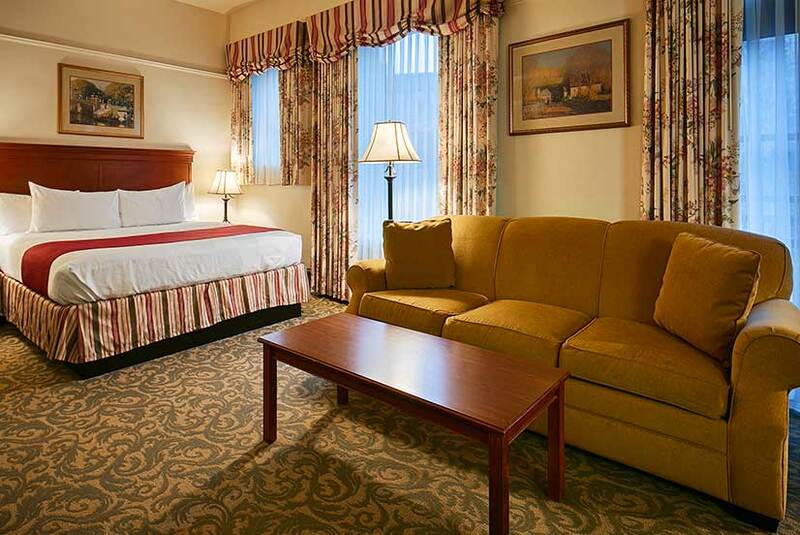 Ideal for the business executive, couple or small family requiring Seattle hotel accommodations. Our 375 sq. 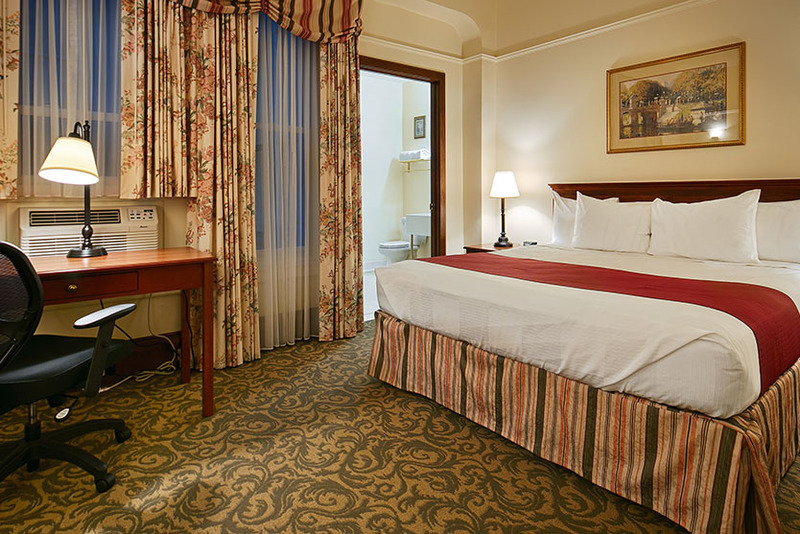 ft. Deluxe King Guest rooms with Pioneer Square views feature one king bed. This room will accommodate up to 2 people and includes a Flat Screen TV, Sister Sky Amenities, and desk with desk chair in every room. 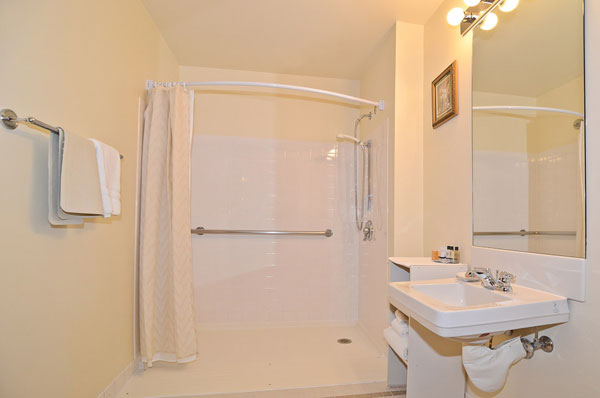 Ideal for the business executive or couple requiring Seattle hotel accommodations. Our 350 sq. 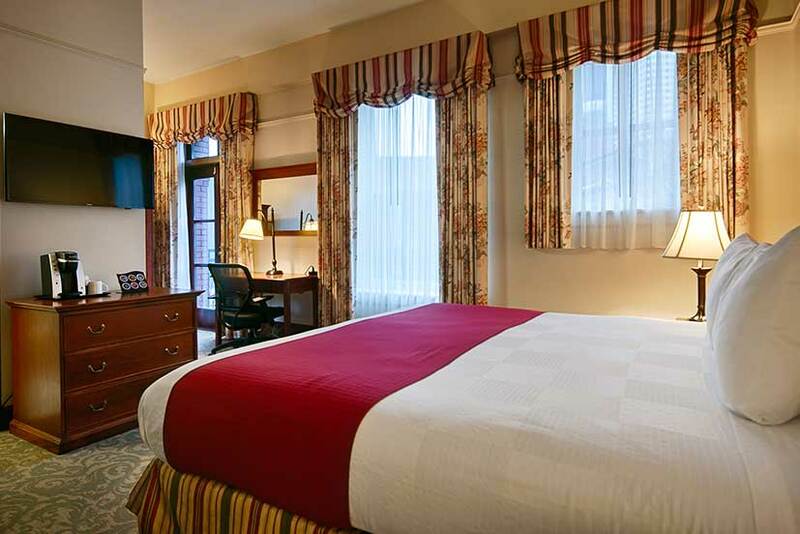 ft. Deluxe Guest rooms with Pioneer Square views feature 2 double beds and are available with a balcony. This room can accommodate up to 4 people and includes a Flat Screen TV, a Keurig Coffee Maker, and Sister Sky Amenities. 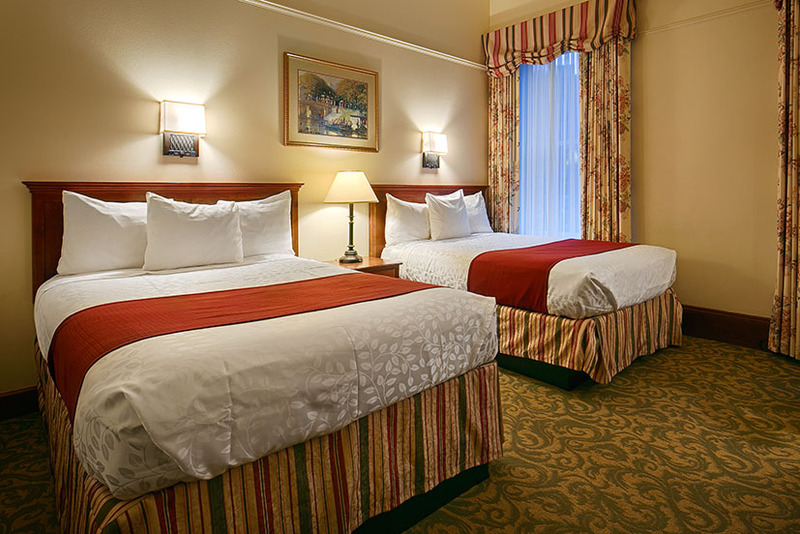 Ideal for families or groups requiring Seattle hotel accommodations. Our 325 sq. ft. Standard king rooms are located in the interior of the building providing a bit of peace and quiet away from the sights and sounds of the city. They feature one king bed, a Flat Screen TV, a work desk and chair, and Sister Sky amenities. To ensure the comfort and convenience of our disabled guests, our wheelchair-friendly hotel offers enhanced accessibility features in select guestrooms. To learn more and to book your accessible room, please contact Best Western Plus Pioneer Square.